The Florida Board of Veterinary Medicine is responsible for issuing and renewing veterinary licenses as well as ensuring veterinarians comply with the statutes and regulations applicable to the veterinary profession. These statutes and regulations establish who may become a veterinarian in Florida, how a licensed veterinarian retains his or her licensure, and acts that can result in a suspension or revocation of one’s license. Practicing veterinary medicine without a license, failing to obtain the requisite amount of continuing education in a given year, and/or failing to cooperate with a Board of Veterinary Medicine investigation into a complaint are just a few of the actions and inactions that can jeopardize your veterinary license. With over 30 years of experience in the field, the Tampa veterinarian licensing lawyers at Law Offices of David P. Rankin, P.A. is able to assist veterinarians and would-be veterinarians with a wide variety of licensing and disciplinary matters. Obtaining the requisite permits to operate a veterinary clinic. In some cases, attorney David P. Rankin is able to assist veterinarians in informally resolving their licensing or disciplinary matter by assisting you in assembling the documents and evidence deemed necessary by the Board to render a favorable decision on your behalf. 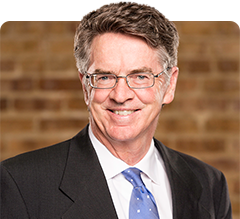 Where litigation and representation before the Board is necessary, David P. Rankin’s experience in prosecuting disciplinary matters on behalf of the Department of Business and Professional Regulation (DBPR) makes him a formidable advocate for your interests. Why Retain the Law Offices of David P. Rankin, P.A. While veterinarians in the State of Florida are well-educated in their subject matter, the processes followed by the Board of Veterinary Medicine in determining who is issued a license or permit, or how a complaint is to be resolved, are largely a mystery. Taking the time to learn not only the administrative rules and regulations applicable to these matters but how to effectively and persuasively protect your interests takes time and resources that many veterinarians simply do not have. Besides this, veterinarians in Florida prefer to devote their resources to running their practice. The Law Offices of David P. Rankin, P.A. stands ready to assist veterinarians and veterinarian applicants in resolving their licensing, permitting, and/or disciplinary issues before the Board of Veterinary Medicine. Contact the firm today by calling (813) 968-6633, or reach out to the firm online, to schedule a consultation with one of our Tampa veterinarian licensing lawyers.